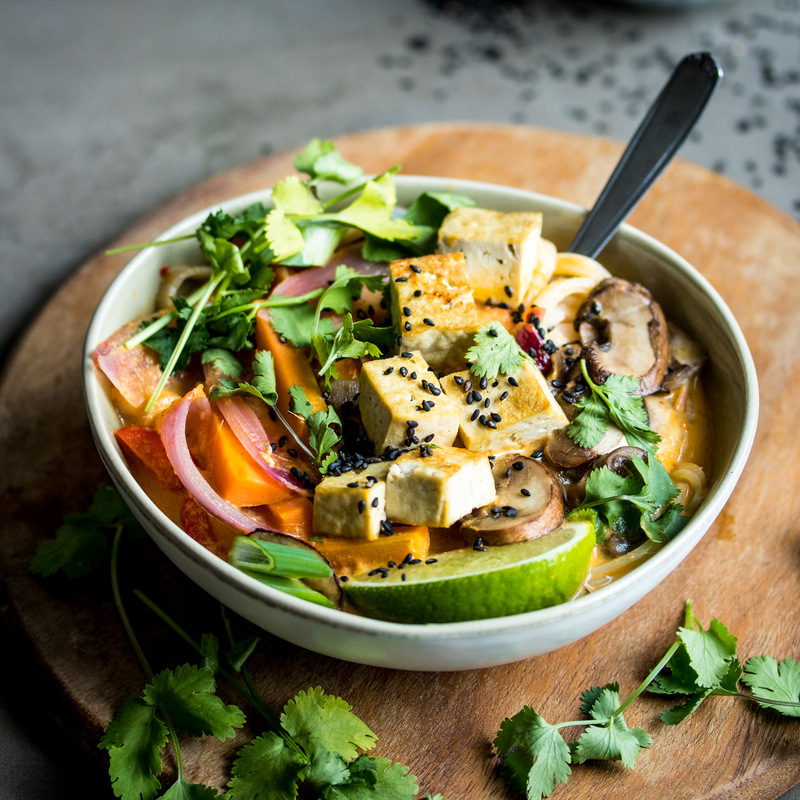 Vegan Lemongrass Coconut Noodle Soup. Absolutely packed full of flavour and texture! Feel free to swap in chicken breast for the tofu if you like.